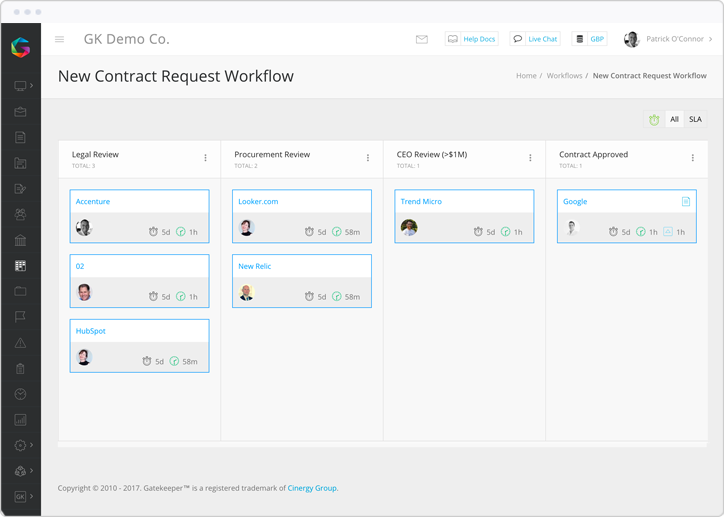 Get automated reminders for contract renewals and view your data dynamically. Renew, negotiate, cancel, consolidate - on your own terms. ‘”The Gatekeeper team have been great. Their solution is truly innovative and they are always highly responsive to our needs”. Digitise and visualise all company processes with our industry unique Kanban Workflow Engine. Delegate data entry by exposing digital forms, giving you back control. 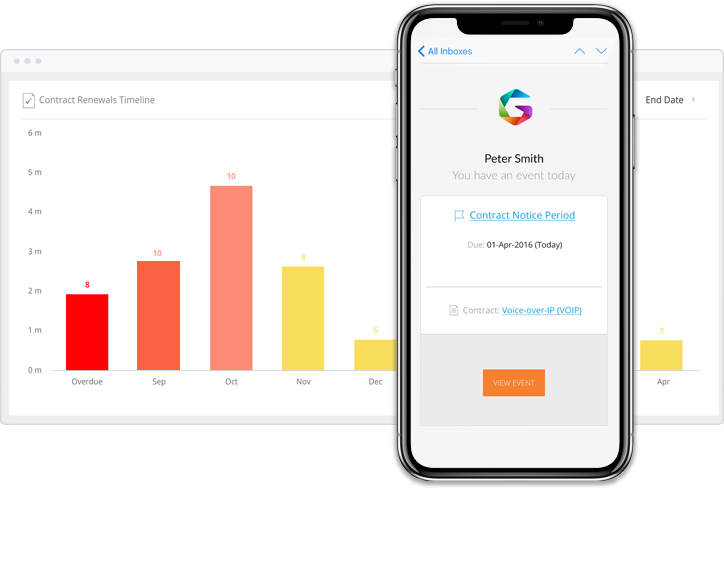 Generate supplier and contract records using form data in a single click. 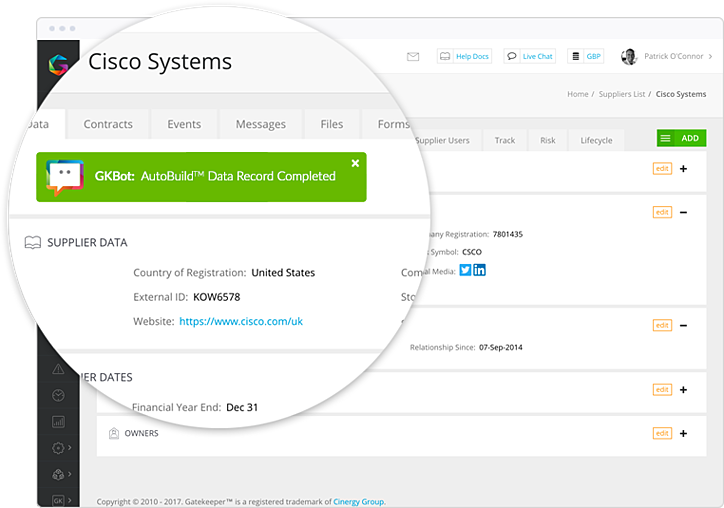 Our AI layer will AutoBuild™ user and supplier records - just hit ‘Save’. 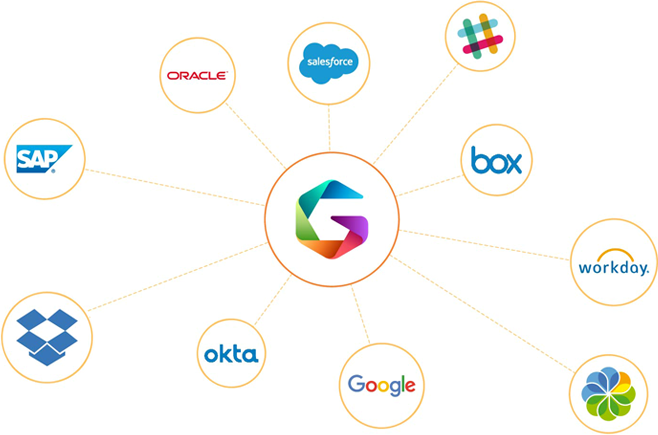 Leverage AutoEnrich™ to update legacy data and maintain your master data records with a new accurate feed - every 30 days..
Gatekeeper stores interactions with your suppliers automatically. 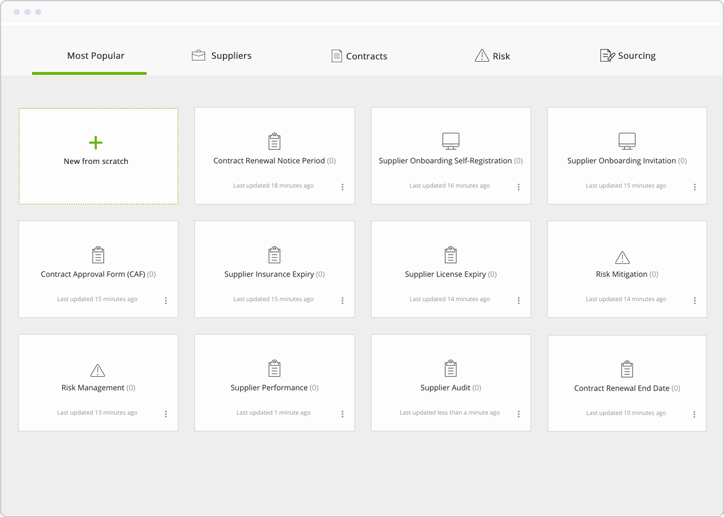 Centralise contracts, files, supplier contacts and track supplier performance. 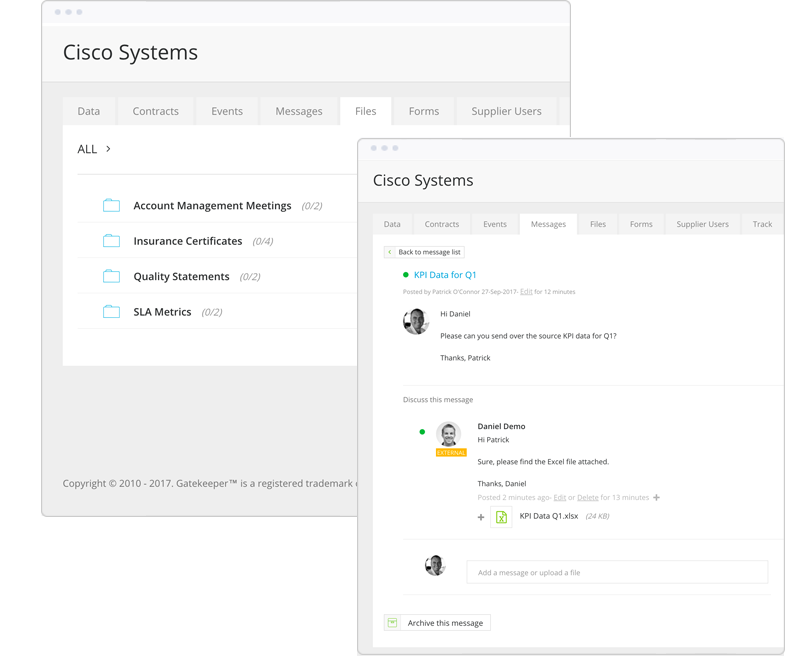 Collaborate with any internal or external stakeholders within a single secure platform. 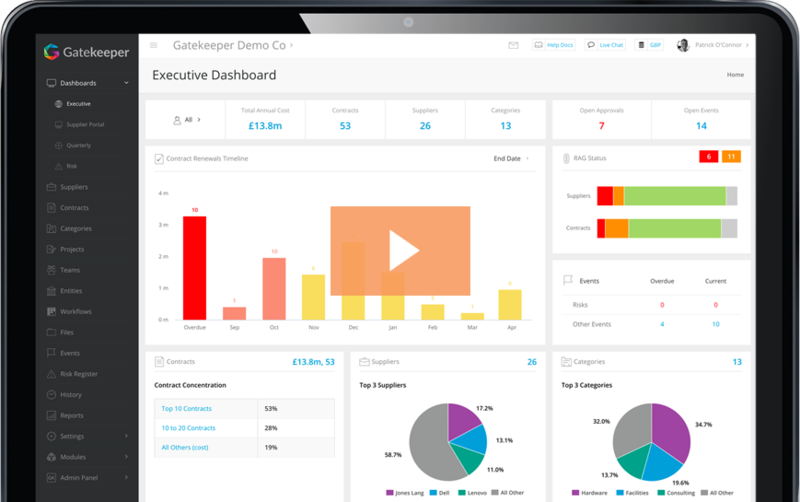 Gatekeeper has integration support for over 220 third party solutions, including Single Sign On (SSO), Enterprise Resource Planning (ERP) Finance, Document Management Solution (DMS) and more.